The support that's needed for a beautiful life. Uniquely located in the Flathead Valley of northwest Montana, Immanuel Lutheran Communities offers a neighborhood for memory support called The Lodge at Buffalo Hill. 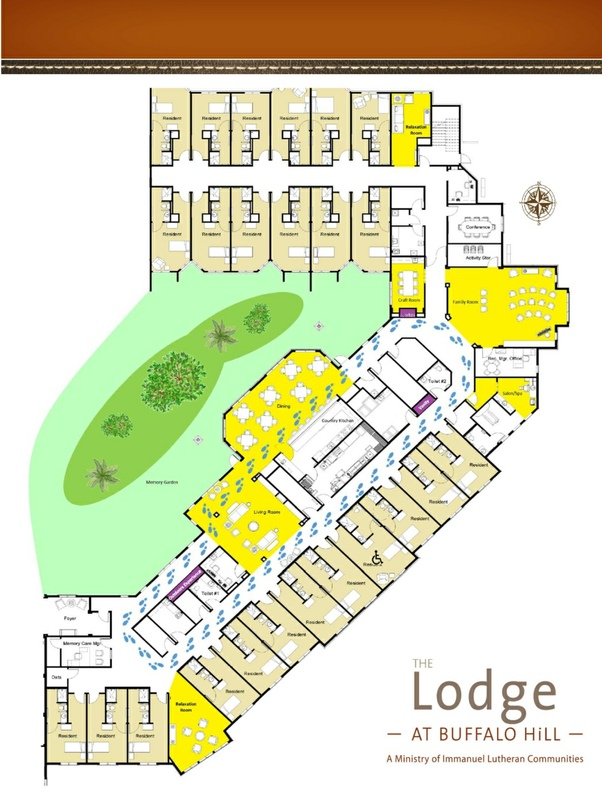 The Lodge includes 24 private residences for those who want to live a vibrant, inspired life. 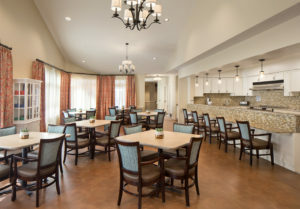 The Lodge at Buffalo Hill is more than a place to reside for those needing memory care. It’s a place to live each day to its fullest, with programming designed to engage and nurture those who call The Lodge home. Here, every resident’s individual personality is valued. Life histories, emotions and preferences are respected and honored. And the many activities planned by our recreational staff promote whole-person wellness, stimulating and encouraging those who participate. independence in each person within a safe and secure environment. When you experience memory loss, your needs can change every day. At The Lodge, we stay aware of those hanging needs, and adapt our services accordingly. There are 24 residences at The Lodge, and each is a private room with an ensuite bathroom. Social spaces such as a living room, family room and craft/project room are all part of The Lodge, and residents dine together in a lovely country kitchen, which has a talented, dedicated chef on staff. The amenities of an abundant life. Our day services help both caregivers and guests. The Lodge also has day services, for those who can return to their own supportive environment every evening. This flexible program brings caregivers and families much-needed support, while adding dimension to the lives of our daily guests. Each person who joins us can take part in the same engaging, innovative programming offered to residents, with supportive staff and meals provided. Both part-day and full-day services are available. Family Moments-Understanding the Person with Alzheimer’s by Jolene Brackey is available, just complete the information request here. 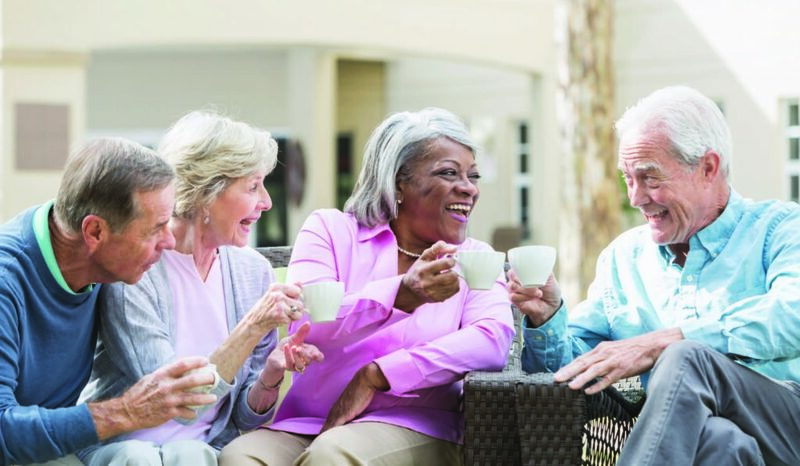 Find out more about memory care in Kalispell today. Ask questions or schedule a confidential consultation by calling 406-752-9624. Or complete the information request form .